Florida-based diamond e-tailer Brilliance.com is teaming up with Yahoo! Screen’s Ultimate Proposal for their latest online contest, entitled “Brilliance’s Ultimate Surprise”. Ultimate Proposal (Ultimate Surprises) is a brand-new webshow exclusively available on Yahoo! Screen. 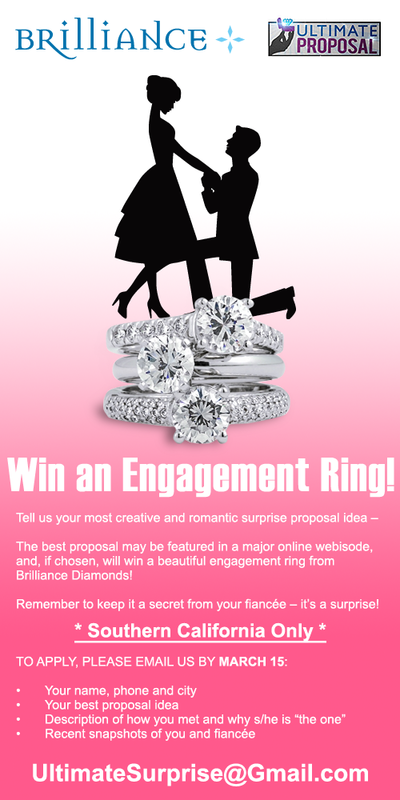 Participants are urged to send in their most creative, romantic, even outrageous marriage proposal ideas and they could stand to win a beautiful engagement ring, if chosen for the show from Brilliance.com. To apply, send applicants name, phone number, city, best proposal idea, a brief description of how the applicants met each other and why he/she is “the one”, and some recent pictures of the two together to UltimateSurprise(at)gmail(dot)com. The company is already known for its superb inventory of engagement rings and fine jewelry, but the website also offers live customer support and several pages on diamond education. Brilliance believes in educating its customers and helping them make the most well-informed purchase, and hopes that this contest will engage them into looking into the other services and products available on the site. The contest is open to Southern California residents only, and ends on March 15th, 2011. Winners will be notified by phone or email. 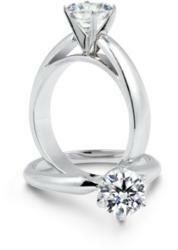 Brilliance.com is one of the leading online retailers of diamonds, engagement rings, and fine jewelry. Over the past two decades, the company has built a name for itself as one of the best in the business, providing excellent products and top-notch customer service, with all its merchandise manufactured purely in the United States by master jewelers. Visit their website at http://www.brilliance.com.